Entry Level Pistol Class focusing on safety, operations, ammunition, and basic shooting techniques. This is not a marksmanship course. Class is taught in a casual, small group environment to maximize learning. Great for the new gun owner or those with limited experience. Expand your firearm knowledge and improve your shooting skills! Our Oklahoma Pistol Training Classes consist of hands-on, in-person training that teaches the beginner to advanced student how to safely handle, store, maintain, and shoot their firearm. These classes are focused entirely on the student AND their personal firearm so they can become a more confident and responsible gun owner. Great for New Gun Owners! ADDITIONAL CLASS MATERIALS ARE OPTIONAL BUT HIGHLY RECOMMENDED! This class is for those who have taken the Level 1 Pistol 1: Skill Development class or who have completed the NRA Basics of Pistol Shooting course. This is a full day class where students build upon existing basic pistol concepts. Increase confidence and improve shooting skills through advanced training techniques and challenging drills. Students who complete this course will shoot an average of 50% more accurately and will be prepared to take our Pistol 3: Personal Defensive class. *NEW Mantis Advanced Monitoring Technology is used to assess each student's ability and help with improvements. 3. Add Rental Package - $59.95 - Try a variety of handguns + 50 rounds ammo. WARNING: Due to the nature of this class, it can be a potentially dangerous course! Each and every student is responsible for keeping the class safe. Students WILL be required to sign a "liability release" before taking this course. • Introduction to shooting while "on the move"
If you have your Concealed Carry License, YOU SHOULD TAKE THIS CLASS! This class is for those who have taken the Level 1 Pistol 1: Skill Development or NRA Basics of Pistol Shooting course, as well as the Pistol 2: Shooting with Confidence class. Due to safety issues you must have completed both classes in order to participate in this course; no exceptions will be extended; proof of completion is required! 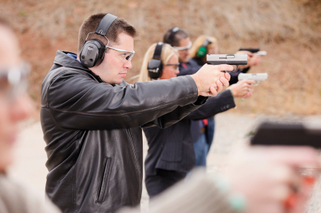 This advanced course is focused on the intermediate, experienced pistol student. This course goes BEYOND the "Basics". Learn how to defend yourself more efficiently during a violent encounter! 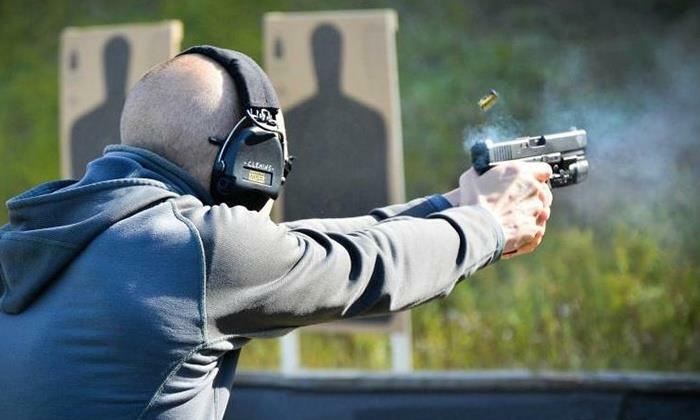 Part 1: In-depth skill development on how to present and use your firearm for defense. Two and one handed tactical reloading is practiced. Part 2: Done entirely at the range, this portion of the course was designed to prepare and improve your chances for surviving during a life threatening an encounter.